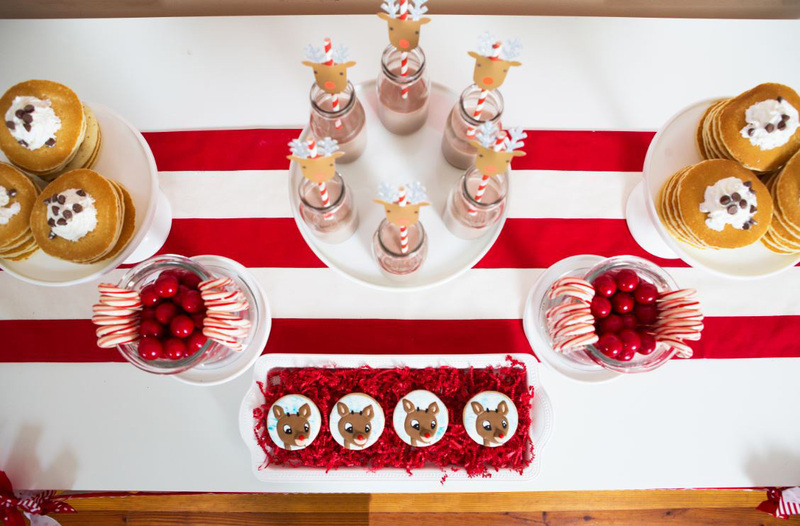 To make a Rudolph-themed party, you’ll need some basic craft materials, pancakes, red gumballs and then let your favorite reindeer steal the show! Blogger and designer, Bethany Farrar, suggests using one color – in this case red like Rudolph’s nose! – to make a statement backdrop and tablescape. You can purchase red paper fans, ribbon and tissue paper at any party or craft shop. Not to mention that the items can be used again and again for different occasions,” she says. 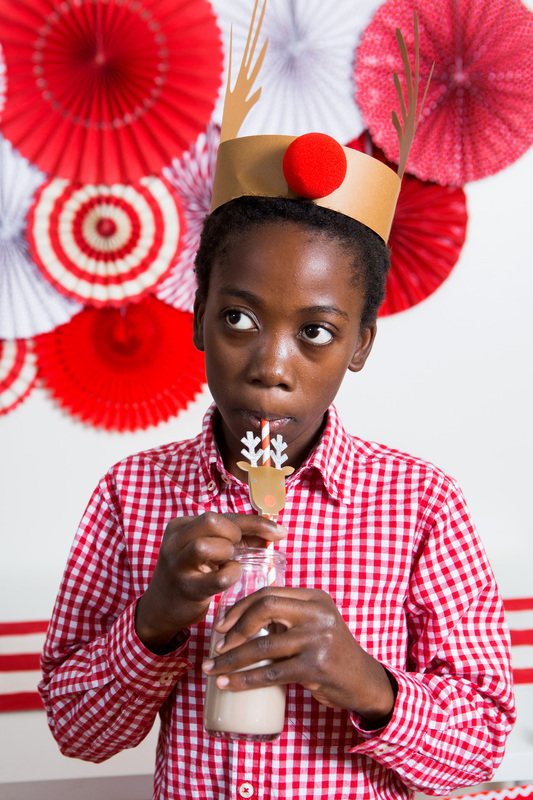 “Chocolate milk suddenly looks festive when paired with red straws,” says Farrar, who buys paper reindeer decorations at the craft store, then slides the straw through the middle to make each sip fun for her kids. Specialty cookies also make a statement, but you don’t have to buy many to achieve the effect. Pancakes or waffles (either frozen or homemade) eaten outside of breakfast hours bring an element of whimsy. For a ‘Rudolph’ viewing party, Farrar recommends pancakes with a dollop of whipped cream on top as a special treat for the family. 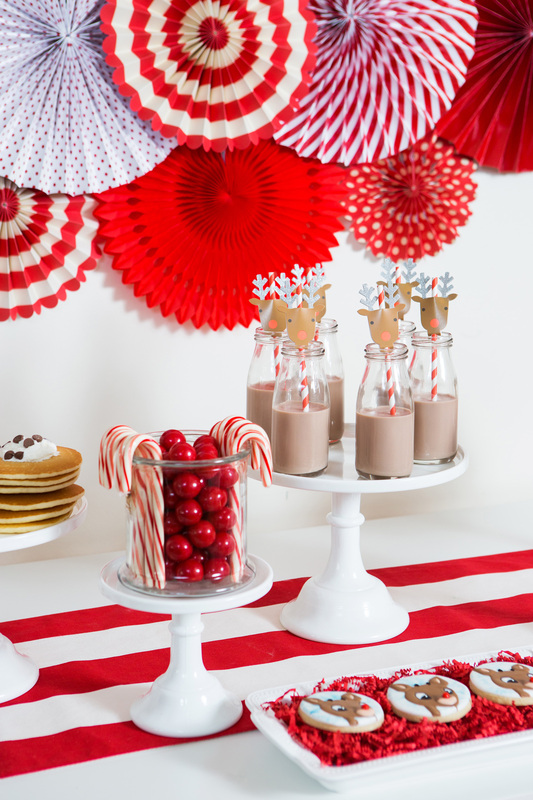 “Chocolate milk suddenly looks festive when paired with red straws." She recommends filling a jar or bowl with any round, red candy (she uses gumballs) to fit the Rudolph theme. “Cardstock, a little bit of glue and red clown noses make fun reindeer hats,” says Farrar. 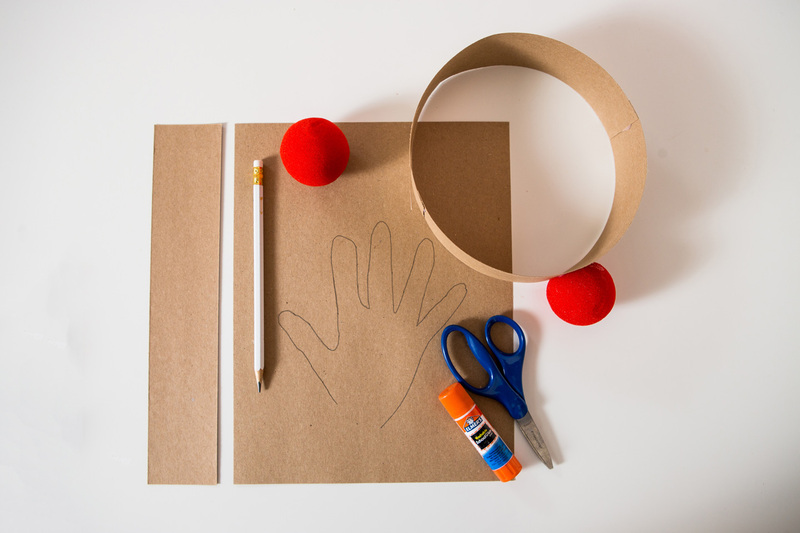 To make the hats, simply cut strips of brown cardstock and glue them together to form a headband. Then, ask children to trace their hand on cardstock and cut around the outline. Glue those handprints to the side of the headband to form antlers and glue a red clown nose to the front of the headband.